There is one significant problem in this saying of Jesus: he seems to say that the Hebrew Bible will remain intact until the end of the world. But what about some tiny scribal errors in the old Hebrew manuscripts? Was Jesus wrong? Isn’t this a Bible Contradiction? Old Testament documentation formulas present a new concept of biblical truth: the reality of documentation behind the Scriptures. They are not only spiritual and informing; we are able to understand that we are dealing with correct writings. Indeed, this is a precious addition for our understanding of the Bible and it's truth. There are a lot of Documentation Formulas scattered all over the Old Testament referring to the work of speedy writers in the prophetical culture of Old Israel. Documentation formulas are really up for grabs. 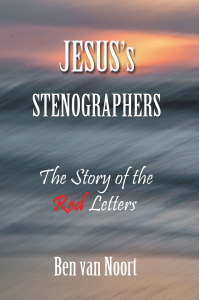 They provide a massive testimony supporting documentation instead of an oral tradition behind the Hebrew Bible. The theologians of the twentieth century, who shifted ‘en masse’ to the new view that Jesus spoke Aramaic, seemed to have forgotten the implication that according to this opinion the New Testament doesn’t really contain the original words of Jesus.